I am stripping DinoBoy of his privileges again *Sigh* It means that he will only be allowed a certain hours using the ipad, laptop and tv on weekends. He requested for some Word Search books to occupy his time so I went to Popular Bookstore to hunt for it. Luck is with me, I was able to find 4 of them. They are slightly difficult then his current ones but I think he has progressed and able to tackle them. I bought 3 of them under their buy 3 get 1 free promo and with the member's 10% discount, I only paid SGD15.60 for these 4 books. In all seriousness while doing the first set of word search. 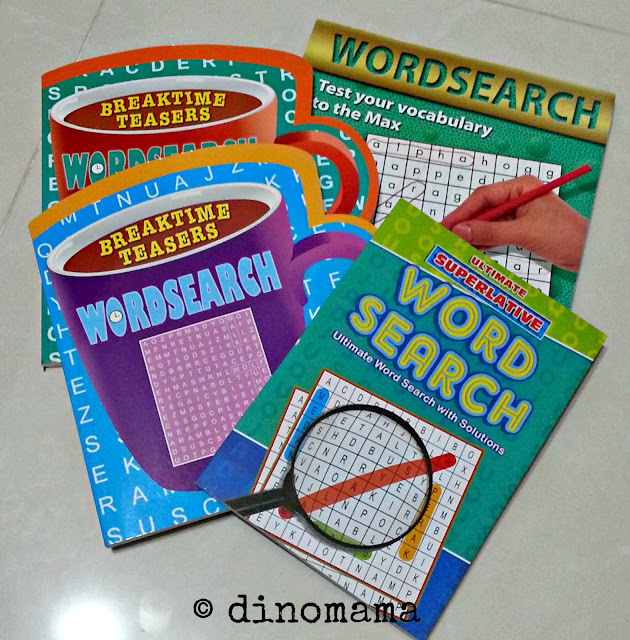 Do you know where I can get some word search books either online or in store that cost lesser? These that I bought today cost about SGD5 each, still a little bit pricey even though they are on sale. What a beautiful family. Great parenting tips. We can get word search books here in the states for about $1 each. Oriental Trading Company (orientaltrading.com/word-search-activity-books-a2-12_4869-12-1.fltr?Ntt=word%20search)sells a set of 2-dozen for $6.50 us. These are great info, esp the online printables. Thanks Sara! I never enjoy word searches. I find that the kids won't be able to understand most of the words and won't be motivated to search dictionary every time he chance upon one. Another issue I am worried is that will it be bad for the eyes to try to find those hidden words. I prefer age appropriate crossword puzzles, any recommendations? 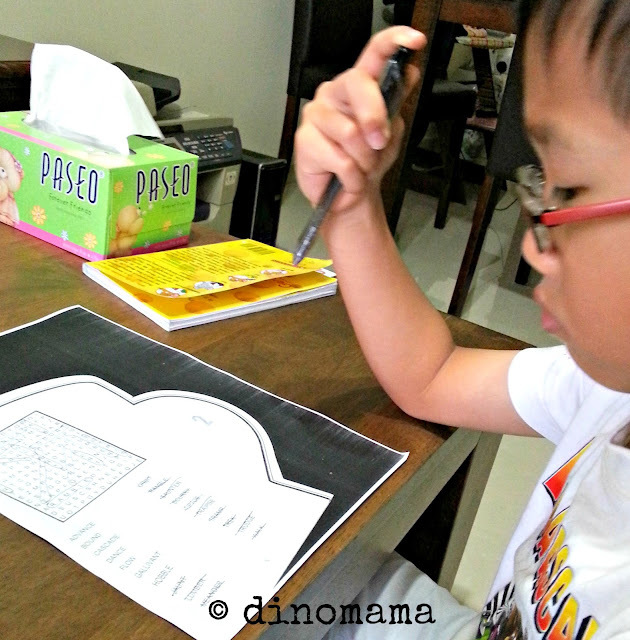 DinoBoy will look at the words and asked me the meaning, then I will ask him to get his dictionary and find it, after that put the word into his Word Book. As you can see, the word search book are big so the words & boxes are bigger then usual. 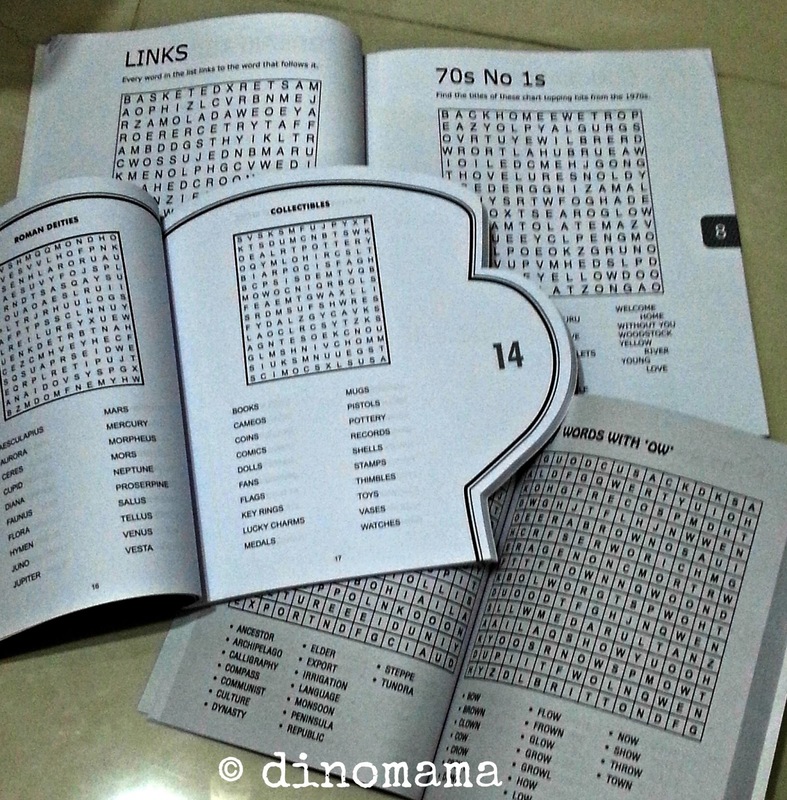 You can try to find crossword puzzles in Popular.